Search thousands of used car classified listings in your area and negotiate with the used car dealer online or by phone. Get the best new car deal. Receive up to 5 liquidation new car price quotes from local new car dealerships. We have made it fast and easy for the general public to find the most aggressively-priced liquidation and clearance cars for sale. When banks and dealers need to get inventory off of their lots, autos are priced to move. Search online for clearance cars or tell us what you want and we'll find it using our free car search engines. 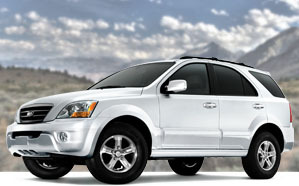 You can also search thousands of used car classified listings near your city. Our Used Car Sales features an advanced search so you can find the exact used car you want quickly, and you can contact the used car dealership within seconds. Also, get the best new cars and new car deals for every new model from just about every new car manufacturer. You can request liquidation new car prices from up to five competing new car dealers with one mouse click. Saving with New Car Deals Are you looking to save money on your new car purchase? Well, if you are looking for a new car deal then we are the clearance car listing for you. We have some of the lowest priced new car deals in the Nation; and the great part is that we have these great low prices all throughout the Country. No matter where you are at, if you're looking to get into a new car that is not going to break the bank on your financial life we can help you. We have a specialized network of amazing new car dealerships that are waiting to give you a great deal. The best part is there are some in your area; all you have to do is use our new car classifieds to find them. Once you find the car you want all you have to do is request a quote. You will then instantly get a quote back from 6 dealerships near you. Find the price you like the most and buy. It's that easy. If you need to buy a car this Spring, we can help you take advantage of the April car sales going on this month. Not only can we give you detailed information about new cars for sale and connect you to extensive local listings of used cars, we can also set you up with lenders in your area to get the best auto financing you qualify for. Spring is a great time of year to buy a car. Not only are there several holidays around this time, but it is also the time of year where the new model year of cars really begins to show up. Older models will get clearance sales prices in order to move the old inventory out and make room for the new, which means you could find a much lower price than you normally could. Start your car search with us, and we can provide you with the best tools, resources and advice to get you the best possible car deal. 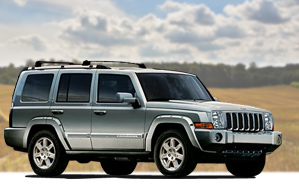 Dependable Used Cars Buying used cars is an experience unlike any other. To get the best possible deals that you can, you not only need to prepare yourself as much as possible, you also need to get a large selection of as many potential vehicles in your local area that you can. We can help sharpen your used car deal skills by giving you all the information and advice you need to know. Not only can we educate you on how to get better deals, we can also show you where to find them. 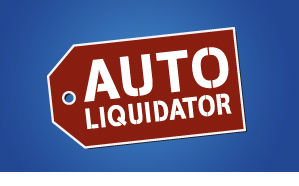 Search through our extensive liquidation priced used car listings to find the best possible vehicle for your situation. Listings from all across the country can be easily filtered and sorted through to display the most relevant cars that you want to find. It's certainly the easiest way to locate local used cars.